One of the most trending, most amazing and popular stunt based reality show “MTV Roadies X4 (Episode 4)” has been all set to enter in Pune for the audition test. In Pune the audition test will be held in which most the most deserving contestants for the adventurous journey of MTV Roadies X4 will be selected. In the tonight episode it is also yet to show that the judge from the co panel member Ranvijay will be giving some passes to some of the selected contestants to which they can directly enter to the audition and eventually the round of audition test will be started. The members of the co panel judges which include Neha Dhupia, Ranvijay Singh, Sushil Kumar and Karan Kundra, they will be testing the guys in the Pune Audition for the show MTV Roadies and among these one person will be selected. In the tonight episode it will be shown that a contestant of Roadies X2 arrived on the stage and succeeded in taking entry to the adventurous journey of MTV Roadies X4. This episode will be the full of the fun and all that. There will be lot more challenges which will be facing by the contestants. After clearing a group discussion a few contestants has been moved to the audition and among these few has been selected with the final decision of the judges. Gradually a boy came to the stage to perform the act of a joker to spread huge entertainment there. No doubt the contestant faces lot of toughness in process of the selecting the contestants. Anyway, the audition ground has been filled by the huge crowd and among these the judges selected some of the deserving contestants from their gang. 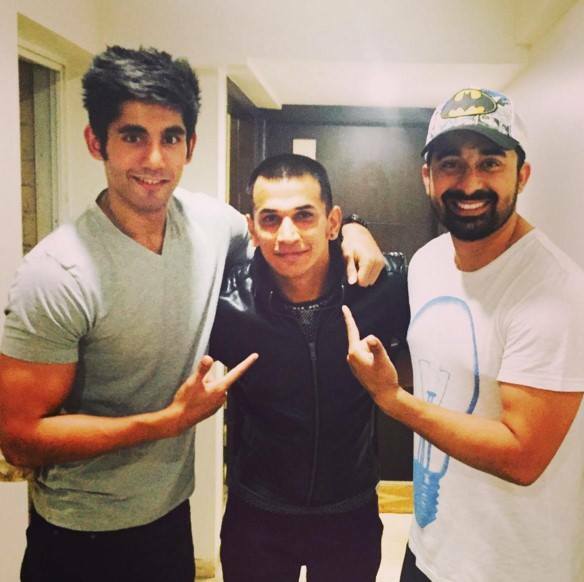 The contestants also seems glad to enter in the life of MTV Roadies X$ anyway.